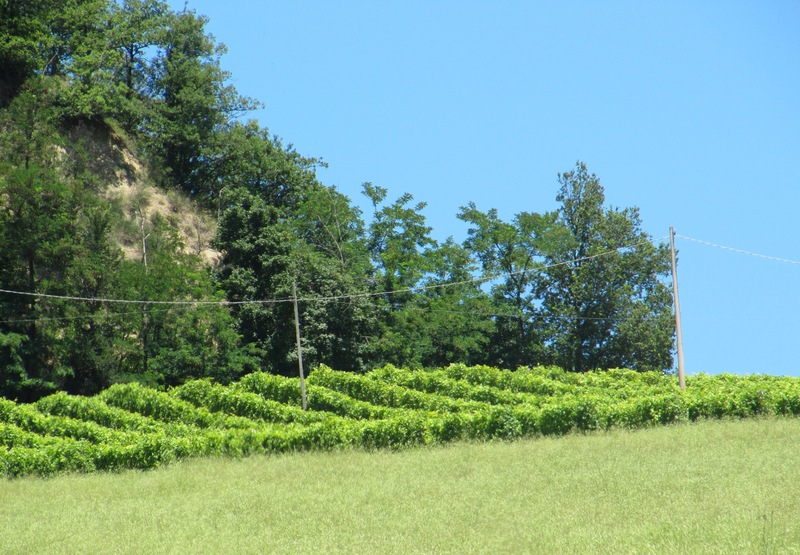 The vineyard Pino was realized in 1993 with an planting layout 4,25×1,5. The growing system is double court (G.D.C.). Exposure fully south on 300 meters above sea level. The cultivated area is 1,5 ha Pignoletto, and 0,8 ha Sauvignon Blanc. The pliocenic soil is composed by 46/28/26 percentage of sand, lime and clay. he Posadura hill is the biggest hill of our winefarm (6,55 ha), its vineyards have been realized during 1996 – 2001 with the growing system Espalier Guyot. The planting layout is 3 x 1. Height 320 meters above sea level. 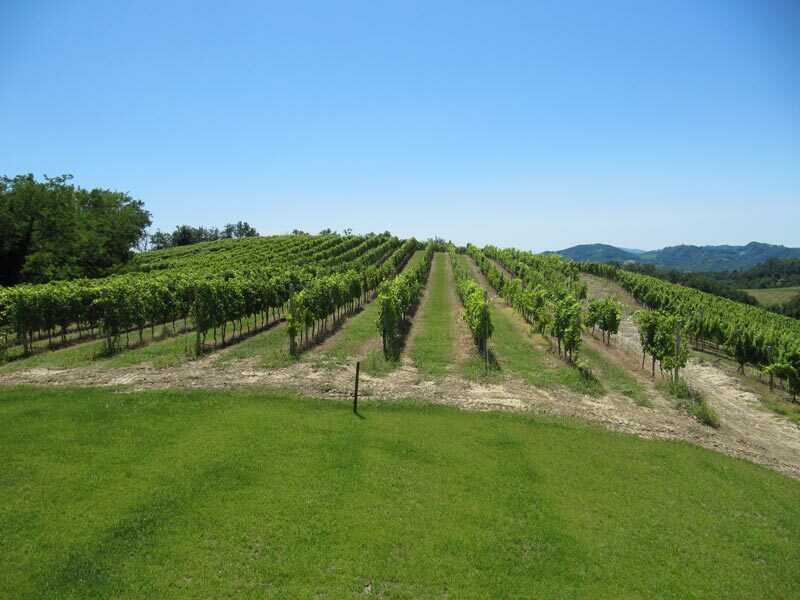 Exposure East for Chardonnay (1 ha) – east/south Pignoletto (3,5 ha) – south and southwest Cabernet Sauvignon (0,72 ha) – north Merlot (0,68 ha) and Fantini realized in 2010, exposure south, 0,65 ha. 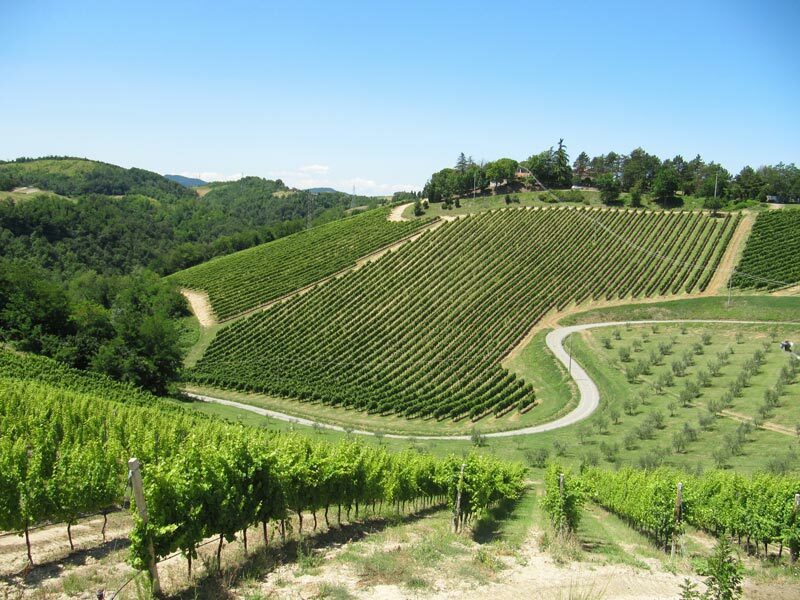 The vineyard Casalino is 4,03 ha, its growing system is Espalier Guyot, realized during 1998 – 2002. Height 300 meters above sea level. Exposure south / south east for Pignoletto (0,40 ha), Merlot (0,67 ha), Barbera (0,93 ha) – Cabernet Sauvignon (2,03 ha). The pliocenic soil is composed by 50/25/25 percentage of sand, lime and clay. The vineyard Torre is 2,15 ha with growing system Espalier Guyot realized during 2002 – 2004. Pignoletto (0,76 Ha), Chardonnay (0,50 Ha), Barbera (0,79 Ha) and Fantini (0,10 Ha). Height 300 meters above sea level. The planting layout is 3×1. The pliocenic soil is composed by 50/25/25 percentage of sand, lime and clay. The vineyard Valle is Barbera (0,81 ha) with growing system Espalier Guyot realized in 2002. Height 220 meters above sea level. The planting layout is 3×1. The pliocenic soil is 60/25/15 percentage of sand, lime and clay. Podere Riosto is located in the hills at the south of Bologna (Pianoro), 75 km from Florence and 16 km from Bologna city center. Podere Riosto, 350 m above sea level, benefits from great solar exposure, good ventilation, warm daytime and cool nights. Winters are cold with plenty of snowfall and summers are long and hot: the combination of these factors is key for great wines. The soil is composed of sand (50%), lime (25%) and clay (25%) and was created during the prehistoric age of Pliocene. At that time the sea moved into the Apennine basin leaving precious sediments. The harvest is done by hand. The low yield per hectare exalts the organoleptic and olfactory characteristics and to obtain high quality wines.